Alberto Gonzalez is a senior in the Sustainability Double Degree program and Ecampus student from Boise, Idaho. Born and raised in California, Alberto is a first generation American. He originally moved to Boise to pursue work in fire-fighting after doing seasonal work in California, and has been based there ever since. After taking some in-person classes at Boise State University, Alberto decided to pursue an online degree to better mesh with his work schedule. Due to family connections on-campus and interest in the online degree program, Alberto decided to pursue his degree through the Oregon State Ecampus. A Liberal Studies major, he first heard about the Sustainability Double Degree through an email about the program. Around the same time, he was taking “World Views and Environmental Values,” which inspired him through discussion of big picture topics. It was this thinking about the big picture that drew Alberto to the sustainability program, and his experiences in the program have greatly influenced his perspectives about sustainability issues worldwide. 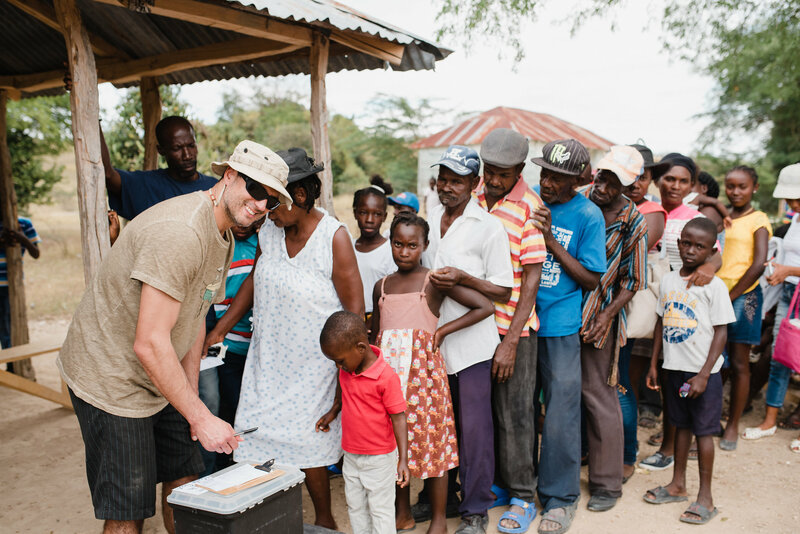 Out of all the experiences Alberto has had in the sustainability program, his practicum with the Flourish Collective in Haiti was the most intense and impactful. Introduced to the Flourish Collective through a friend, Alberto went on multiple trips to Haiti to assist the group in medical missions and research sustainable development work in the country. Through these experiences, he learned a lot about the NGOs (non-governmental organizations) in Haiti and the need for greater involvement by the Haitian government in sustainable development for the country. It was also through his research that Alberto interacted with other outreach groups focused on sustainable development. One of his interactions was with Father Joseph, the founder of Fonkoze, the University of Fondwa and the Association of the Peasants of Fondwa, which are leading social and economic development in rural communities. Alberto also helped establish collaborations between the Flourish Collective and Haiti Outreach, and he hopes to collaborate more with Father Joseph on fundraising and bringing accounting interns to Fonkoze further on. While the practicum experience presented challenges, Alberto says the lessons he got about social sustainability in Haiti have enriched his view of the world and the sustainability issues faced globally. Going forward, it is Alberto’s goal to return to Haiti and work with the Flourish Collective after completing his degree. Through this goal, he hopes to retire from firefighting and go on to work in sustainable development full-time. Additionally, Alberto wants to combine his learning from degrees in Liberal Studies and Sustainability to write about the sustainability issues in Haiti for the Flourish Collective blog. It is with this writing project that he hopes to educate others about the problems Haiti is dealing with and encourage them to address sustainability issues in their own communities. Out of the experiences he’s had in the Sustainability Double Degree, Alberto found it crucial that the practicum is a mandatory part of the program, as it gets students apply their knowledge and skills to real-world situations. When looking for practicum opportunities, he advises other students to start local with projects that interest them, but to also consider going abroad if they have the means and interest to do so. He also encourages students to go out and see sustainability projects and organizations first hand to assess if change is being made. Overall, Alberto’s journey with the Sustainability Double Degree program shows that sustainability issues affect people at community, national and international scales, and it is through collaboration and passion that we can address them.